A free mobile app called TX Invasives is now available from the Lady Bird Johnson Wildflower Center at The University of Texas at Austin for identifying harmful non-native plant, insect and other invasive species statewide. Invasive species in the United States cause about $137 billion in economic and other damage annually as they destroy agricultural crops, clog waterways, kill native plants and more. “By having streamlined tools like the TX Invasives app for reporting where invasive species occur, we’re more likely to catch these threats early and minimize the damage they cause to the environment, the economy and human health,” said Damon Waitt, Wildflower Center senior botanist and an adviser for the National Invasive Species Council. The TX Invasives app, funded by an $18,400 grant from Texas Parks and Wildlife, provides a digital field guide for people to quickly and easily identify aggressive, invasive species and learn about their impacts. 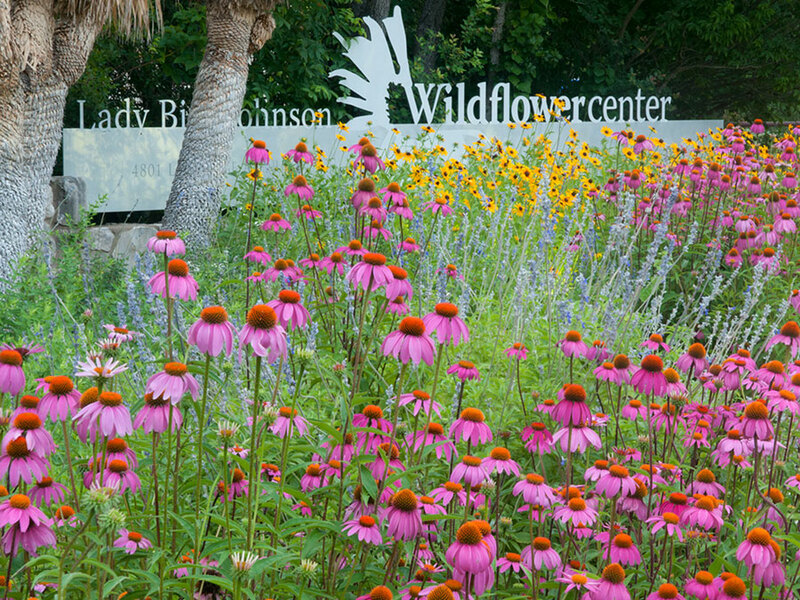 App users can also join more than 2,000 Texans who report invasive organisms statewide by undergoing online training or free workshops offered by the Wildflower Center. “These volunteers provide a tremendous resource as extra eyes for covering the state’s landscapes, whether they’re just walking in their neighborhood or actively patrolling for invasives,” said Justin Bush, the center’s invasive species coordinator who leads the training workshops. Texans with iPhone and Android platforms can download the app to access information and photos of 56 invasive plants, 25 insect species, 19 animals and four pathogens (disease-carrying organisms such as fungi and worms). The species of most concern are pulled from the TexasInvasives.org website, a one-stop shop about invasive species statewide, managed by the Wildflower Center. At the site, the 2,000-plus volunteers with the Invaders of Texas program log invasive species sightings. They now also have the app to aid in their efforts. These citizen scientists have reported more than 17,000 invasive species observations since 2005. This information is used by state and other agencies to improve management decisions and respond rapidly to new invasive species threats. For instance, Invaders of Texas volunteers are monitoring the potential arrival of the emerald ash borer, an insect that recently reached Arkansas and has killed millions of ash trees in 24 states. The TX Invasives app offers expanded features from a 2012 version that listed invasive plants. For instance, the new app can access a device’s GPS signals for direct reporting of an invasive species’ location. The app was developed by the Center for Invasive Species and Ecosystem Health at The University of Georgia. Funding came from Texas Parks and Wildlife’s Horned Lizard License Plate program. Additional support came from the Texas A&M Forest Service and the U.S. Department of Agriculture’s Animal and Plant Health Inspection Service. To download the free app, visit the iTunes App Store or Android Play Store. To learn about invasive species workshops or online training, visit www.texasinvasives.org/invaders/.